The adoption of an initial strategy on the reduction of GHG emissions from ships was one of the key items on the agenda of IMO’s Marine Environment Protection Committee (MEPC 72), which was held at IMO Headquarters in London, April 9-13, 2018. As the global shipping industry collectively wrestles with poor financial returns gratis of a historical and extended market downturn, it is simultaneously mandated to install step changes in onboard technology, with the target being the 'zero emission vessel.' The SSI report authored by LR and UMAS says that biofuels currently present the most affordable option for shipping, though great challenges remain in relation to the scale of production and sustainability of biofuels. Th report was geared to mainly deep-sea oceangoing trades including container ships, bulk carriers and tankers. (See Table 1). 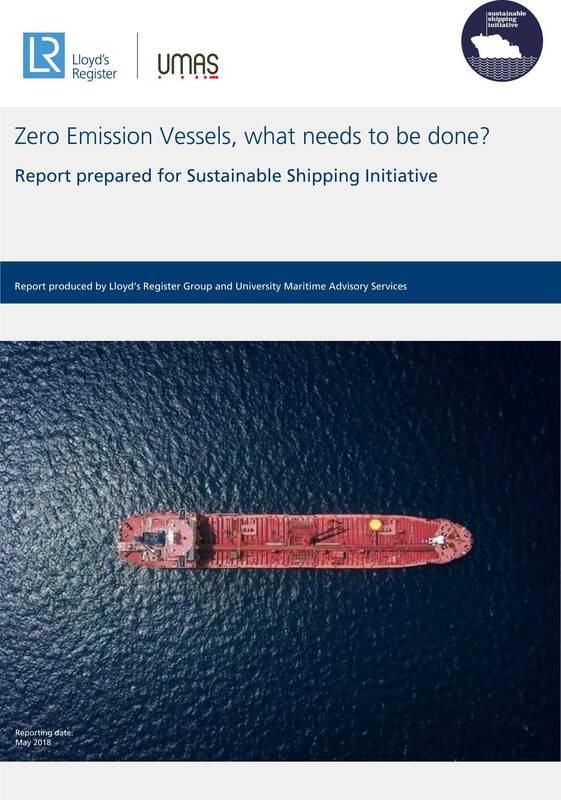 The report also examines electric power and hydrogen fuel cells, and takes note of the upstream CO2 emissions which need to be resolved as these fuels will have to be judged on an environmental performance from “well to wake,” and not just on emissions from ships. As shipping is now in concert with the Paris Agreement, the benefits of other land-based technologies and energy production should help to drive down upstream emissions for ships fuel. As shown in the profitability results can be understood by considering what components outweigh others. For the electric ships, the normalized cost is dominated by the additional capital cost of storage – batteries. The electric vessel does have a positive contribution in the form of voyage costs – this comes from the fact that under this scenario, projected costs of electricity are cheaper than the HFO alternative, however, this positive does not compensate for the much larger associated cost of the batteries. 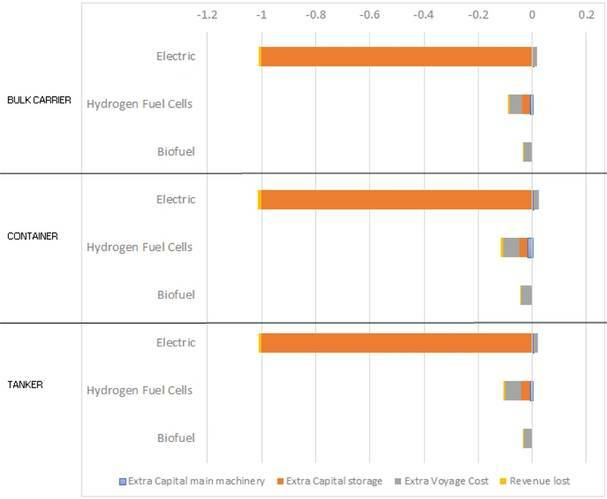 For hydrogen fuel cells, the contributions to the cost from all four measured components are noticeable, with the voyage costs coming from the hydrogen fuel cost, being the largest component. Biofuels have no associated additional capital costs for machinery or storage when compared to the reference ship, given that biofuels can be stored and combusted in machinery with identical costs of conventional HFO engines. As a result of this report, the SSI are engaged in a deep-dive into biofuels in 2018 to assess the viability of biofuels for the world fleet.